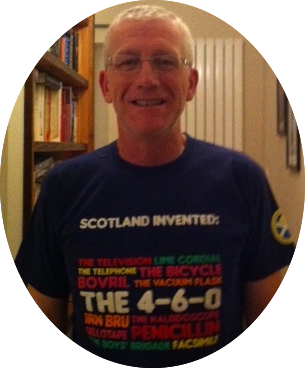 And here’s one proud wearer. 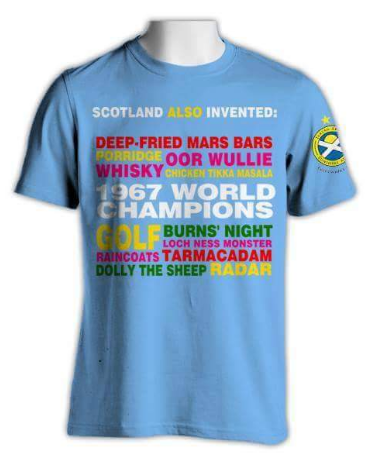 You can check out Richard’s story of Aberdeen winning the European Cup-Winners’ Cup “Glory in Gothenburg“. They were made with the idea that you can take them on trips and use them as souvenirs to give/swap with other fans/locals, instead of losing perhaps a favourite item that you have. 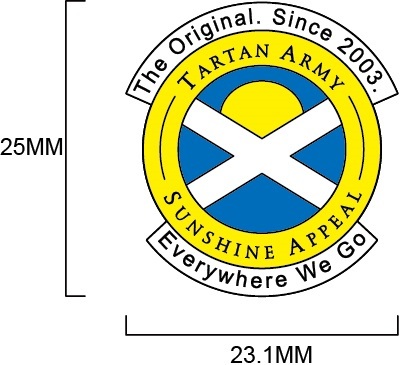 Order your badges by sending the appropriate amount via Paypal to info@tasunshineappeal.co.uk remembering to include the quantity and delivery address. 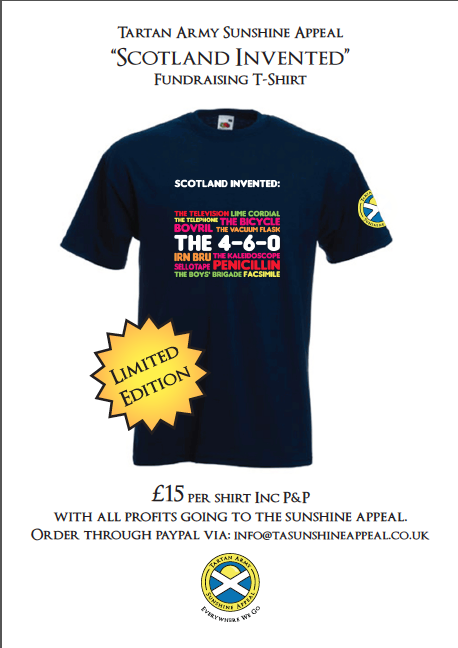 Tartan Army Sunshine Appeal wristbands are now on sale for £2.00 each or 3 for £5. Order your wristbands by sending the appropriate amount via Paypal to info@tasunshineappeal.co.uk remembering to include the quantity and delivery address. Order your car sticker by sending the appropriate amount via Paypal to info@tasunshineappeal.co.uk remembering to include the quantity and delivery address.